BioPet, Veterinary Natural Alcohol-FREE Liquid Extract, Pet Herbal Supplement Features: ALCOHOL-FREE! NON GMO! GLUTEN FREE! Hawaii Pharm BioPet Supplement contains no GMO, gluten, heavy metals, artificial colors, preservatives or synthetic fertili..
Black Walnut (Juglans Nigra) Organic Dried Hull Veterinary Natural Alcohol-FREE Liquid Extract, Pet Herbal Supplement Features: ALCOHOL-FREE! NON GMO! GLUTEN FREE! Hawaii Pharm Black Walnut Pet Supplement contains no GMO, gluten, heavy metals, art..
Blackberry Organic Dried Root and Leaf, Veterinary Natural Alcohol-FREE Liquid Extract, Pet Herbal Supplement Features: ALCOHOL-FREE! NON GMO! GLUTEN FREE! Hawaii Pharm Blackberry Pet Supplement contains no GMO, gluten, heavy metals, artificial co.. Blood Cleanse, Veterinary Natural Alcohol-FREE Liquid Extract, Pet Herbal Supplement Features: ALCOHOL-FREE! NON GMO! GLUTEN FREE! Hawaii Pharm Blood Cleanse Pet Supplement contains no GMO, gluten, heavy metals, artificial colors, preservatives or..
Blue Cohosh, Veterinary Natural Alcohol-FREE Liquid Extract, Pet Herbal Supplement Features: ALCOHOL-FREE! NON GMO! GLUTEN FREE! Hawaii Pharm Blue Cohosh Caulophyllum Supplement contains no GMO, gluten, heavy metals, artificial colors, preservativ.. Body Cleanse, Veterinary Natural Alcohol-FREE Liquid Extract, Pet Herbal Supplement Features: ALCOHOL-FREE! NON GMO! GLUTEN FREE! 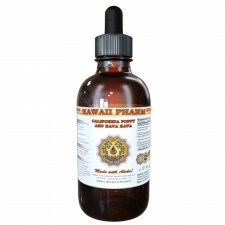 Hawaii Pharm Body Cleanse Pet Supplement contains no GMO, gluten, heavy metals, artificial colors, preservatives or s..
Bugleweed (Lycopus Virginicus) Organic Leaf and Flower Veterinary Natural Alcohol-FREE Liquid Extract, Pet Herbal Supplement Features: ALCOHOL-FREE! NON GMO! GLUTEN FREE! Hawaii Pharm Buglewood Pet Supplement contains no GMO, gluten, heavy metals,..